Climate change, ruling elites, stressed natural resources, sustainable development. The world of the ancient Maya was complex, with issues much like those today, says Kitty Emery, associate curator of environmental archaeology at the Florida Museum of Natural History. Modern societies have a romantic view of the past, thinking that people in ancient times lived lightly on the land, leaving it unharmed and unchanged. Not necessarily so, says Emery. 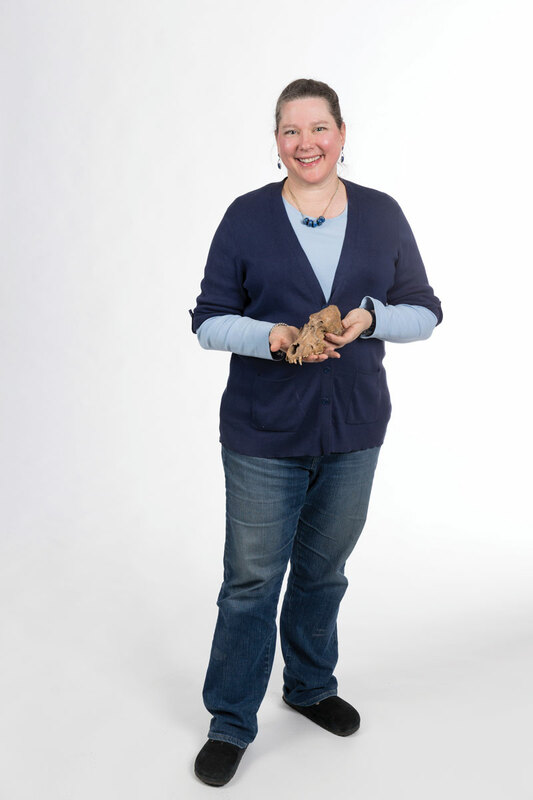 Kitty Emery, associate curator of environmental archaeology at the Florida Museum of Natural History. During 5,000 years of the ancient Mayan civilization millions of people lived in an area of Mexico, Belize and Guatemala that still feels their impact, Emery says. Their human footprint – on the environment, climate and biodiversity – shows up in the evidence excavated from archaeological ruins. Some remains point to sustainable practices, such as terraforming and intensive cropping, but other remains indicate more negative impacts, such as deforestation and soil erosion. Today we call these human-caused effects anthropogenic, and we date the Anthropocene only to the Industrial Revolution. But for environmental archaeologists, the Anthropocene began a very long time ago. Knowing what humans have done in the past is important for conservation. Restoring a habitat to a pristine, or more natural, condition requires a definition that is complicated, Emery says. What is pristine? What is natural? If the target time period is in the last several thousand years it might seem humans have had little impact, but the evidence is underfoot that they have. Is pristine before or after a landscape was farmed or burned? Is it before intense hunting pressures — or domestication — that changed the evolution of species in a habitat? Once humans set change in motion in a landscape, the path of evolution changes, everything changes. And environmental archaeologists can trace it through time. Environmental archaeology owes its strong roots at the University of Florida to the pioneering work on archaeological animal remains — zooarchaeology — by Curator Emeritus and National Academy of Sciences Scholar Elizabeth Wing, now 80. Wing is known as the grandmother of environmental archaeology and one book traces the discipline’s southeastern roots to Wing’s dissertation, completed at UF in 1962. 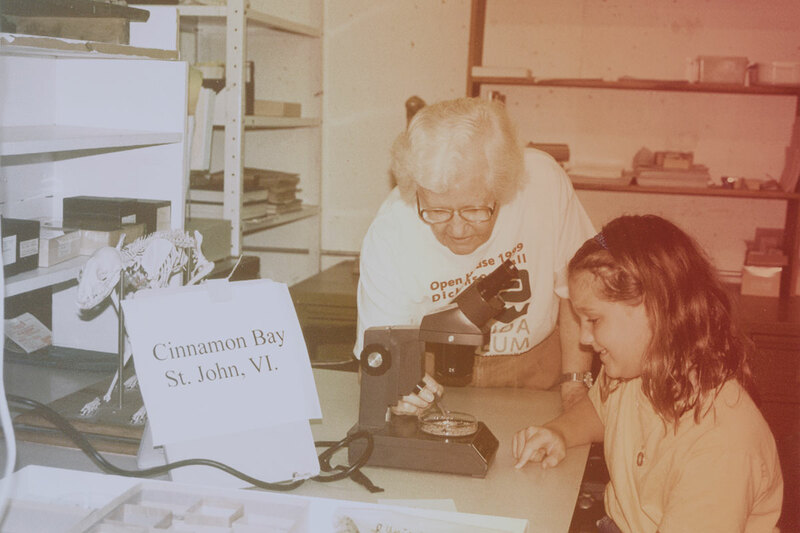 The zooarchaeology comparative collection she built became the foundation for her own work and the work of generations of students. Elizabeth Wing built the environmental archaeology program at UF and served as a valued mentor for generations of students. Wing spent summers as a student at the Museum of Comparative Zoology at Harvard and brought that rigorous training with her to UF. She worked hand in hand with archaeologists, who were glad to bring her any animal remains they unearthed. The faunal remains became a rich source of scientific investigation, and her detailed 1981 work on the Mayan diet was seminal to modern studies of the ancient Maya. Early on, Wing says, it was common for archaeologists in search of human artifacts like pottery to set aside animal bones and shells, sometimes examined, sometimes not. Wing says she was content to let the archaeologists do the digging and date the strata, leaving the animal remains to her. She would compare the excavated remains to modern examples in the museum’s collection or the collections of other museums to answer questions about species that co-existed with humans: how they were used and how that use changed over the years. Whole skeletons are diagnostic, she says: How large was the animal, how was it butchered? In those early days, when Wing received whole animals that needed to be turned into skeletons, she used the roof of the museum to macerate the flesh, so the odor of rotting flesh would drift away on the breeze. For smaller specimens, she used her yard on Bivens Arm in south Gainesville, weighting the body with a large stone and letting nature take its course. Today, such preparations are done in a special off-site facility. Animals also reveal information about humans: What did they eat, how did their diets change, did they hunt some animals and domesticate others, did they use resources sustainably? The sustainability of fisheries is a hot topic today, but Wing was among the early scientists to note stress on fisheries. Human impact on fisheries, she says, is ancient. That impact also varied between coastal areas, which could rely on inland crops and hunting, and islands, which were more reliant on fishing. Wing realized that plant remains, too, were important, to tell a complete story of human diet. “You can point to when corn was first used, or other crop materials, and that goes right together with the use of the animals for meat,” Wing says. Wing’s work with animal remains helped paint a more textured picture of human culture. Emery says the museum’s environmental archaeology program is carrying on the thread of Wing’s work and adding to it by looking at social, economic and political patterns and interpreting the past through combined studies of animal and plant remains and soils. 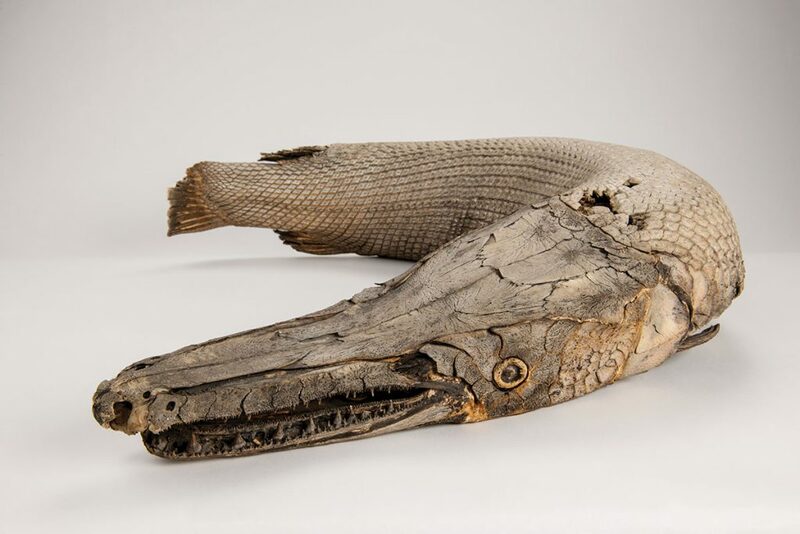 Alligator gar from the comparative collections. These big fish were a common food species for native people of southeastern North America. The animal bones found in Mayan archaeological ruins, Emery says, reveal a society as stratified as today’s. Animals were a resource, and access to that resource depended on social class. At most sites, the ruling elites had plenty of jaguar skins and exotic species, symbols of their lavish lifestyles and wealth, and plenty to eat. Although there is evidence all classes had access to white-tailed deer, the elite got the best cuts. 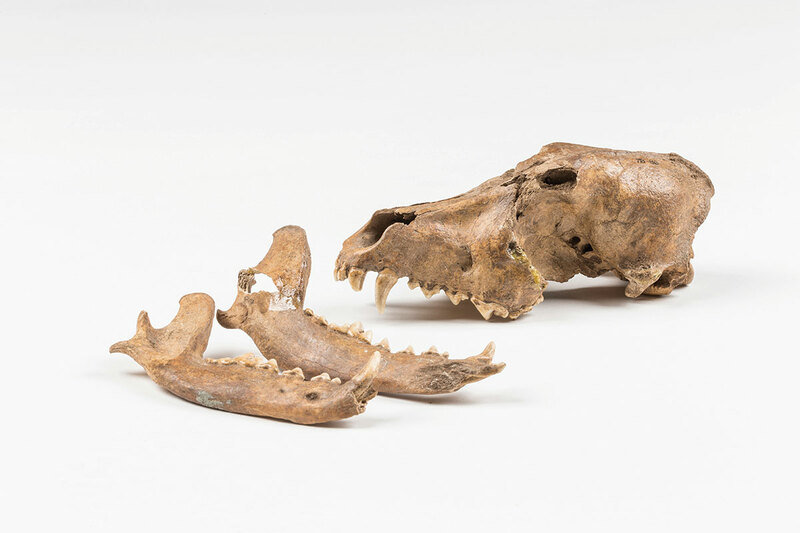 “Similar to today, there were limited resources,” says Emery, who, in one recent study, worked with doctoral student Ashley Sharpe to examine almost 25,000 bones from the museum’s collection of Central American animal remains, one of the largest outside that region. In that study, the appearance in inland capitals of animal resources available only near rivers indicates the elites were able to compel lower-class inhabitants living near those rivers to provide them. In another study, combining evidence from plant, animal, and soil remains from archaeological sites in Guatemala, Emery and Williams College colleague Antonia Foias have shown that the middle- and lower-status residents provisioned the royal elite not only with corn and other agricultural crops, but with ritually important animals, and the cacao used in most elite political and religious ceremonies. In return, these residents may have been feted in feasts held by the elite in the plazas of the capital city. The ancient bones also tell a story of decline. The Mayans deforested on a wide scale to build their cities, and overhunted, too, to the point that bones of large game species like white-tailed deer become less and less common in the ancient garbage dumps at certain sites. Emery says she wanted to determine when the society’s decisions started to go bad, and in a large regional study of remains from 25 archaeological sites, found that harvest of large mammals only declined in proximity to large cities with extensive, politically dominant hierarchies. Farmers and hunters of the past understood sustainable practices just as they do today, but they did not use them when pressured by their allegiance to royalty and the need to pay taxes and tithes. At these dominant sites, Emery suggests, resource decisions were being made by politicians, who were removed from the initial environmental impacts.